June 24, 2016 (Boston, MA) – Houston-based Boxer Property is excited to announce their expanding portfolio in Greater Boston the acquisition of 67 Forest in Marlborough, MA. 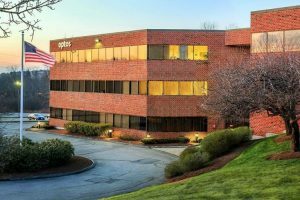 Boxer Property continues to see the value in the 495 Corridor as a cost effective alternative to downtown Boston. 67 Forest Street is a first class three-story 64,922 square foot office building located less than 1.5 miles from the Simarano Drive exit (Exit 23) and Route 20 exit (Exit 24). 67 Forest Street offers a professional setting with attractive landscaping, and ample parking as well various amenities including exercise facilities offering showers and lockers, a 3 story atrium, and loading dock. Lying directly on 495, the property offers signage opportunities visible from the Interstate. Strategically located across from GE Healthcare’s US Headquarters and centrally located along I-495, 67 Forest offers close proximity to an extensive list of shops, hotels, restaurants, and other service amenities, as well as many desired conveniences for tenants. Marlborough, MA offers a wide range of industry knowledge to companies, new and established, looking for space to grow. Companies with presence in the city include AT&T, AMD, Apple Inc, Boston Scientific, Fidelity Investments, Hewlett-Packard, Lucent Technologies, Quest Diagnostics, Raytheon, TJX, and VCE, to name a few. “We are pleased to purchase this well-occupied building with over 12,000 square feet of available space on the second floor,” Said Brad Nichol, Director of Acquisitions for Boxer Property. “We plan to make lobby and parking upgrades in addition to our traditional management strategies at Boxer Property.” Space available includes 12,000+ square foot of second floor space which can be built to suit.